Such is the demand for the brightly coloured crunchy ice crystals, the Pooch is now available in a shiny new resealable pouch. What’s more, with brand new no added sugar recipes, and the same great SLUSH PUPPiE taste, you can feel really good about enjoying your slush whenever it suits you! Founded in 1970 in Cincinnati, Ohio, SLUSH PUPPiE is the original non-carbonated frozen beverage treat. SLUSH PUPPiE first came to the UK in 1974 & is still the number 1 brand. The Pooch has a rich heritage & bags of personality. Importantly, it is loved by the young & the young at heart! 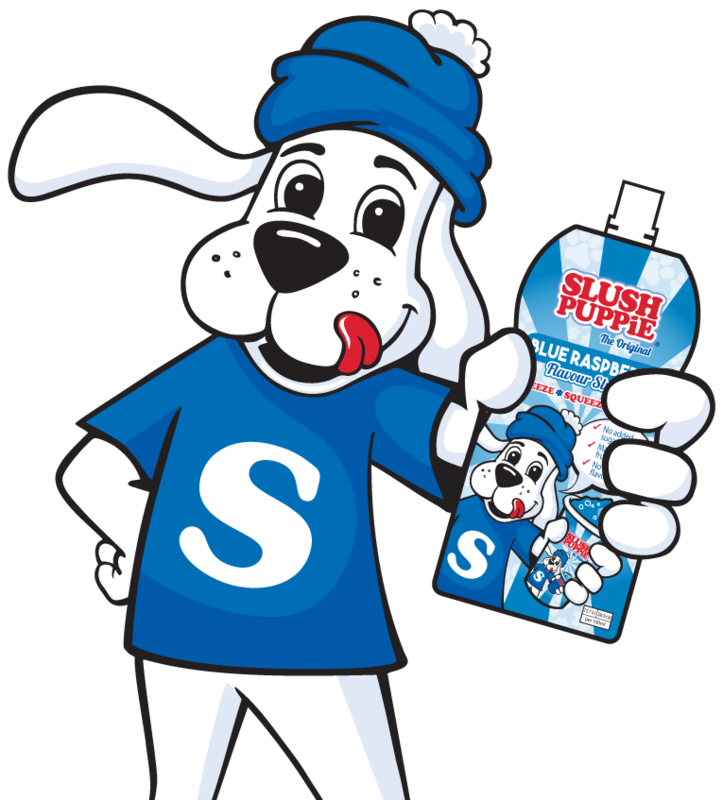 Today SLUSH PUPPiE has grown into an internationally known brand with a worldwide licensing programme. The Pouch format is brand new for Europe. With its no added sugar recipes & convenient packaging, SLUSH PUPPiE Pouch is the smart way to enjoy slush. Simply store it in the freezer and drink whenever you’re ready.